September 28th, 2011 | Home and Lifestyle. 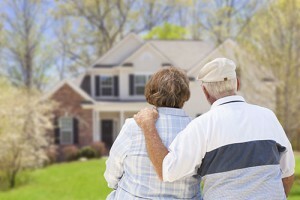 Have you considered where you want to retire? Money Magazine has published where they believe are the best places to retire. When retiring, what does your ideal place look like? Is it a hustling and bustling city or is it a country town? Is it on the sea-shore with a view, or is it in the southwest with mountain views? Here are their picks. These towns have three key qualities in common they are all relatively small with most populations in five digits, none over half a million. What is interesting is that Money Mag rebukes the idea that the ideal retirement area is filled with senior citizens – all ten towns above have roughly two-thirds of their population under age 50…no shuffle board in these towns. Lastly, the top ten towns for retirement have a median home price between $100,000 and $150,000 with a low cost of living. Are retirees eyeballing places that look less like a retirement village and more like a laid back small town with a diverse age pool to mingle with?